At NC Pest Control, our services cover all of the most invasive and annoying pests, including rodents, termites, bees, fleas, ants, mosquitos, and cockroaches. We are equipped to handle both residential and commercial properties, including for those seeking quarterly pest control services to enjoy a pest-free environment year-round. Our technicians aren’t just skilled and trained in effective pest control methods, they are also selected based on their ability to provide a personal touch that our customers deserve. We are happy to inspect your home to point out any points of access that should be resolved to reduce unwelcome visitors. Contact us today to schedule an inspection! 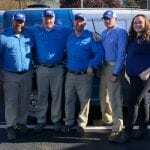 At NC Pest Control, we offer the best in pest eradication and control for homes and businesses in the Fuquay-Varina, North Carolina area. 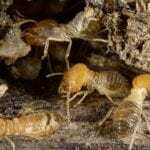 Get $100 Off Your Initial Termite Service! Get Rid of Pesky Termites! We Want to Give You $50 Off Your Initial Quarterly Pest Control Service! Get the Best Deal on Pest Control! What Makes Flea Control So Complex?